Do you look at a friend’s garden and wish you could have one too? Do you look at your tiny backyard and wonder where to put a garden? Or perhaps you live in an apartment and a garden is just not possible. 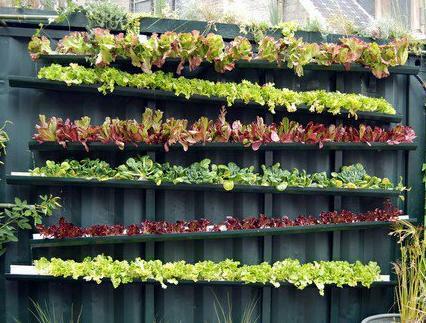 You don’t need large expanses of land, or even a small plot to grow your own food – all you need is a bit of imagination and ingenuity. It’s still not too late in the season to try it! 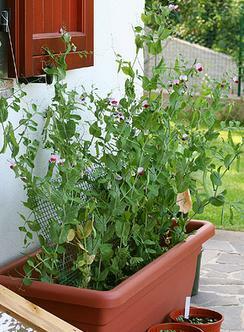 Container or planter gardens are perhaps the most common type for small space gardens. Any container, large or small, from window boxes to clay pots can be used. 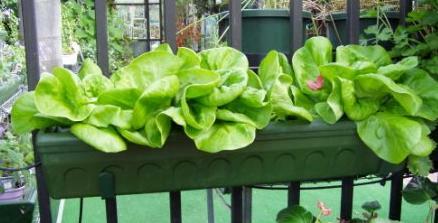 Instead of planting petunias in a window box, try growing fresh lettuce or herbs. 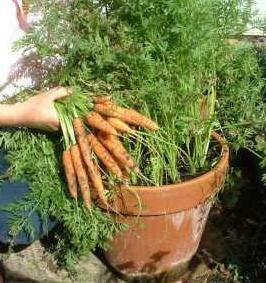 Larger pots are a great place for carrots, other root vegetables. 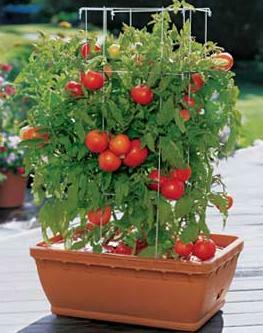 Add a trellis type structure to your planter or pot and grow peas! One advantage of container gardens is they are easily moved to follow the sun, or moved to protective places during storms which would otherwise damage a traditional garden. Put your imagination in high gear. Did you clean out a basement or attic or closet, or perhaps you plan on doing that? Don’t toss everything into the dump – look at what you have and think about how it can be reused to grow a garden! If you can’t go horizontal – go VERTICAL! Maybe you have an old over the door shoe pocket hanger? 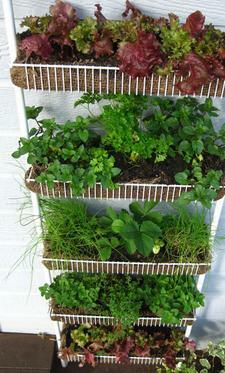 Grow leafy vegetables instead of loafers! Old shelving units and ladders let you go HIGHER. 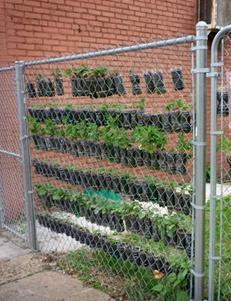 REUSE old plastic bottles as containers, and spruce up a fence! 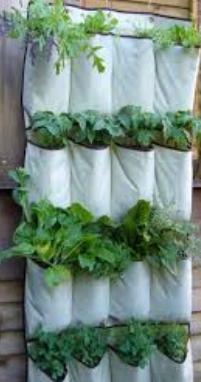 How about a rain gutter garden along a fence or the side of your garage? Put your imagination and green thumb to work!